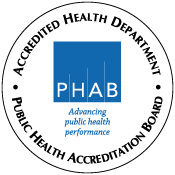 Franklin County Public Health inspects yearly all K-12 public, private, chartered, non-chartered, community schools and career centers located within the jurisdiction of the Franklin County General Health District. Inspections are typically done during the school year and during the school day. We also respond to public complaints regarding the health and sanitary condition of schools. Once an inspection is completed, we send a report with observations and recommendations to the school principal/administrator, person in charge of maintenance and the school superintendent. Lead testing water in schools is voluntary. If you decide to test, be sure to use a lab that is certified to test for lead. Lead in Drinking Water in Schools and Daycare Facilities.